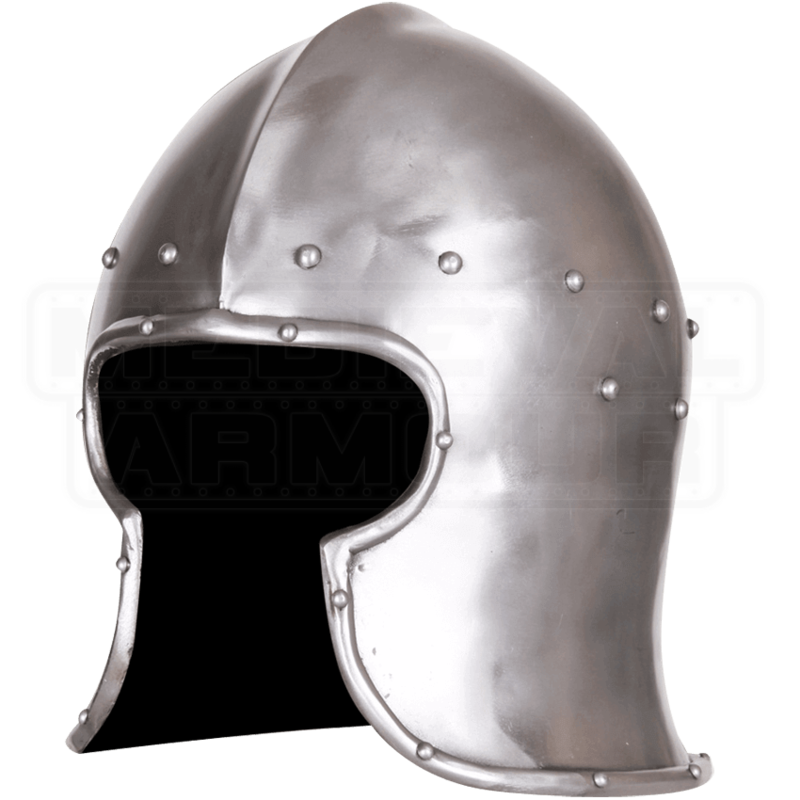 Based on a 15th-century Italian design, the Fidelio Steel Barbute protects the head and sides of the face while still allowing for great ventilation and sight. This handcrafted steel helmet features rivets and a subtle skull ridge. This slight ridge along the top of the skull adds interest and strength to its structure. Known best by its T-shaped face opening, the barbute style helmet is sometimes compared to the classical Greek Corinthian helmet and has been the inspiration for various helmets from works of fantasy. This Italian-inspired barbute helmet sports a rounded T-shape. 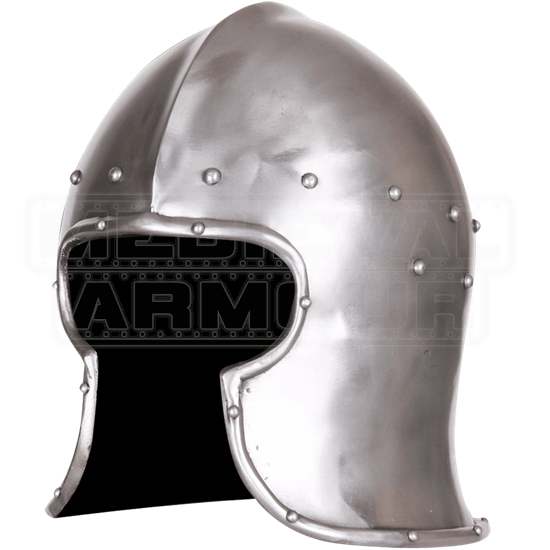 Perfect for many medieval and Renaissance-based characters, this steel helm is suitable for LARP and costume use. We recommend wearing a padded arming cap underneath this helmet for safety and comfort.